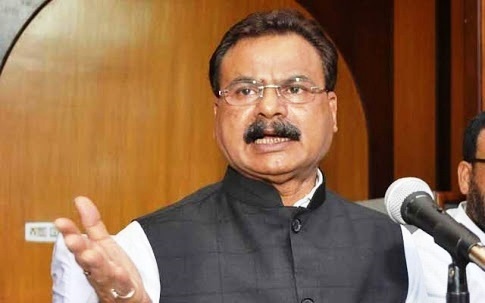 Assam industry and act east affairs minister Chandra Mohan Patowary attended a panel session on ‘Physical Connectivity’ at the 2nd ASEAN-India Youth Summit in Guwahati on Sunday. Deliberating on the topic, Minister Patowary stated that there are several geographical and historical advantages of Assam as far as connectivity with South East Asia is concerned. Physical proximity of ASEAN countries to Guwahati is less than the major metropolitan cities of India. There has been historical trade and connectivity links which got snapped after independence. But with the Act East Policy, Assam and the North East has repositioned itself as the centre of the ASEAN region. Minister Patowary further underlined the initiatives of the Government of Assam to bolster physical connectivity with South East Asia. Under UDAN scheme, flights are expected to start between Guwahati and Dhaka and Bangkok within the month of March this year. The LGBI Airport is being upgraded with the construction of a new terminal. In terms of roadways, the Asian Trilateral Highway, Sadia-Dhola Bridge and the Bogibeel Bridge would give a big fillip to the connectivity scenario. He also talked about the water linkage of NE Region with ASEAN. Manipur Chief Minister N Biren Singh underscored the potential sectors of the state and called upon the youth to build an enduring partnership of NER with ASEAN region that would result in progress and prosperity. Pham Sanh Chau, Vietnam Ambassador to India and Sachin Chaturvedi, Director-General, Research and Information System for Developing Countries also participated in the panel discussion and gave insights on tapping the huge potentiality of physical connectivity of NE Region with ASEAN countries.